The Department of Justice says it will stop using private prisons, saying that the facilities are less safe and less effective at providing correctional services than government-run prisons, the Washington Post reports. 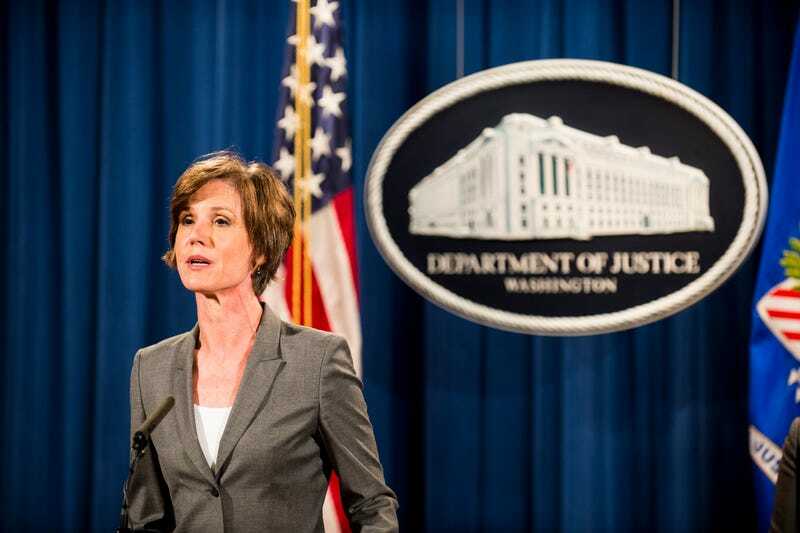 Deputy Attorney General Sally Yates made the announcement Thursday in a memo that instructed officials to decline to renew contracts with private prisons when they expire or "substantially reduce" the contractors' scope, the Post reports. Yates said that ultimately, the goal is "reducing—and ultimately ending—our use of privately operated prisons." “They simply do not provide the same level of correctional services, programs, and resources; they do not save substantially on costs; and as noted in a recent report by the department’s Office of Inspector General, they do not maintain the same level of safety and security,” Yates wrote in the memo. Yates said that there are 13 privately run prisons in the Bureau of Prisons system. She acknowledged that the facilities would not close overnight; nor would the DOJ terminate existing contracts. Instead, there will be a review of those contracts that come up for renewal. All of those contracts should come up for renewal over the next five years, she said. Just last week, the department's inspector general released a report that indicated that private prisons had higher rates of assaults—both by inmates on other inmates and by inmates on staff—and also had eight times as many contraband cellphones confiscated each year on average. The report concluded that the privately run facilities incurred more safety and security issues than those run by the federal Bureau of Prisons. “The fact of the matter is that private prisons don’t compare favorably to Bureau of Prisons facilities in terms of safety or security or services, and now with the decline in the federal prison population, we have both the opportunity and the responsibility to do something about that,” Yates said.